US scientists have identified a new strain of influenza in harbor seals that could potentially impact human and animal health. 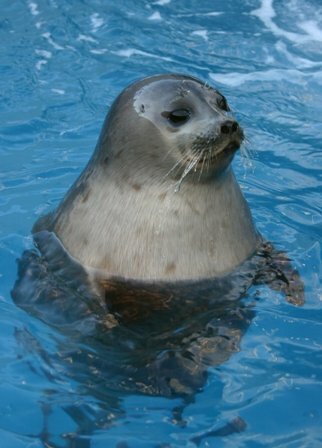 The H3N8 flu has been associated with the deaths of harbor seals in New England last year. Researchers say the virus may have evolved from a type that had been circulating in birds. They say the discovery highlights the potential for pandemic flu to emerge from unexpected sources. Researchers were puzzled by the mysterious deaths from pneumonia of 162 harbor seals around the coast of New England last year. Autopsies on five of the marine mammals indicate that they died from a type of H3N8 influenza A virus that is closely related to a strain circulating in North American birds since 2002. The scientists say this flu has evolved to live in mammals and has mutated to make it more transmissable and more likely to cause severe symptoms. The virus also has the ability to target a protein found in the human respiratory tract. Dr. Anne Moscona of Weill Cornell Medical College in New York City edited the report and says that the new virus is a worry. While flu viruses have turned up in seals before, the researchers say this new virus may represent the first sighting of a new group with the potential to persist and move between species. The scientists had not considered that a bird flu infection could jump species to seals. They argue that this highlights the fact that a pandemic influenza could emerge from a number of different routes. “Flu could emerge from anywhere and our readiness has to be much better than we previously realized. We need to be very nimble in our ability to identify and understand the potential risks posed by new viruses from unexpected sources,” Dr. Anne Moscona said. The report is published in the journal of the American Society for Microbiology.